We're on a mission to make VR sound incredible. HEAR360 is on a mission to make the digital world sound absolutely incredible. We do this by providing hardware and software solutions to today's VR and AR content creators, and also to VOD distribution platforms, allowing them to deliver theatrical quality, head-trackable spatial audio easily and affordably. The first product we brought to market is 8ball, an omni-binaural microphone which allows for directional recording that places the viewer in a field of 3D sound. Our second product, SONAMI, is a world class spatial audio solution for mobile video on demand platforms, and provides a movie theatre surround sound experience on any mobile device using any headphones. The underlying technology H360 Core creates a 3rd dimension to audio, giving the ability to place sound above, below, around, and even inside a listener's head. When combined with omni-binaural recording the results are holographic, immediately immersing the viewer into the virtual world. Matt has worked extensively on the development and testing of psychoacoustic audio algorithms for consumer electronic devices, video game platforms, and car audio systems. 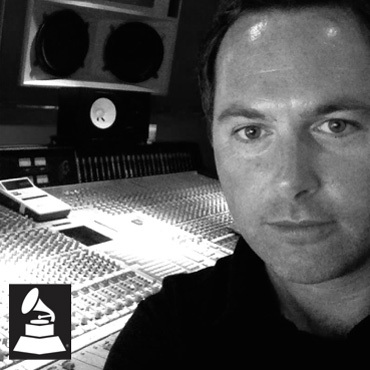 As an audio engineer for over 15 years, Matt Marrin recorded and mixed albums for countless platinum selling recording artists, received multiple Grammy nominations, and a Grammy Award for his work. In addition to recording and mixing, he has consulted for companies such as DTS and Sonos, helping them to sculpt the sound of their audio products in order to create the best possible consumer experience. Matt worked with production duo Jimmy Jam and Terry Lewis as their Chief Audio Engineer, and he has had the pleasure of working with some of the music industries most sought after artists and musicians, including Janet Jackson, Usher, Chaka Khan, and Gwen Stefani. Grammy nominated multi-talented engineer, producer, composer, Greg brings seven years experience leading development of 3D spatial audio software. Greg built an all-star client roster, becoming known for his innovative work on albums for hip hop's biggest and brightest stars such as Ludacris and Missy Elliot. He's teamed up with pop stars Jennifer Lopez and Janet Jackson, and partnered with several legends like Guns & Roses and Aretha Franklin to create hit songs. Beyond music, Greg has contributed to the Motion Picture industry, serving as the Sound Designer for the DVD re-mastered James Bond films and composing music for Moulin Rouge, which earned an Oscar for Best Original Score. When it comes to software development Greg has been center stage in the development of the most widely used 3D and Spatial audio plugins and platforms in the industry. From FMod, Wwise, and Unity to Protools plugins Greg has been directly involved in developing some of the most powerful tools in 3D sound. Matthew’s expertise is rooted in digital, and spans to traditional TV, print, and experiential marketing. During his 20 year career Matthew had led digital and real-time social media teams through six successful Super Bowl campaigns. His career includes tenure at global agencies like Saatchi&Saatchi, Deutsch, and Innocean working on Disney, Paramount, Universal, Volkswagen, Hyundai, Toyota, MTV, Activision, and Quiksilver accounts. Matthew traces his career roots back to Virgin Records, where he served as Executive Digital Producer leading online marketing for bands ranging from Lenny Kravitz, Ben Harper, Perfect Circle, Janet Jackson, Davie Bowie, D'Angelo, and Thirty Seconds to Mars. He has been honored with Clio, One Show, Effie, Webby, FWA, AIGA, and SXSW awards. Saul brings tech experience into the audio world, as Founder/ex-CEO of Wintermute Industries and award-winning DSP engineer and audio scientist. While in college, Saul founded analog effects company Faultline Industries, producing ground-breaking filtering and distortion effects. Saul put Faultline on hold to found Wintermute, a VoIP startup, and led the company to several funding rounds prior to leaving. After leaving Wintermute, Saul joined HEAR360 in it's infancy where he heads the DSP and mathematics work behind the HEAR360 sound. Like the rest of the company, a passion for audio comes from a musical background - Saul has a composition and production background scoring award-winning indie video games. Richard has over a decade of experience programming and adapting to almost any circumstance imaginable. Cited by Saul as "the most adaptable programmer I've worked with", Richard is passionate about developing media technologies and heads HEAR360's streaming and Unity and web divisions, among others. A composer by nature, Richard's passion for creating music has lead to the creation of many exciting audio software products. In addition to his impressive audio work, Richard has worked extensively in AI and mobile development. 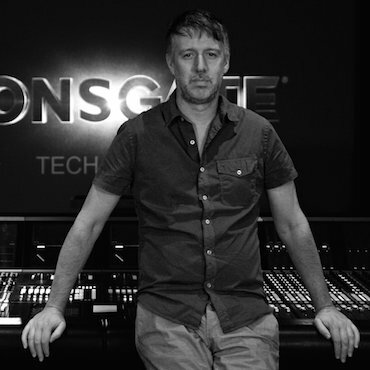 Andy has been an early adopter and developer of immersive audio techniques in the feature film and television space for the past decade. With over 150 films to his credit, Andy continues to hone his craft daily as a feature film supervising sound editor/designer and re-recording mixer. His insight as a working industry professional gives him the unique perspective needed to drive the SVOD/OTT deployment of HEAR360’s SONAMI product. Andy’s career also began in music as a composer for several early Electronic Arts video games, and as an independent recording engineer working with a wide range of artists including Boyz II Men, Aimee Mann, Slayer, Love and Rockets and The Black Crowes.